He's out very own glowworm! At least, that's what this little swaddlme outfit makes me think of. 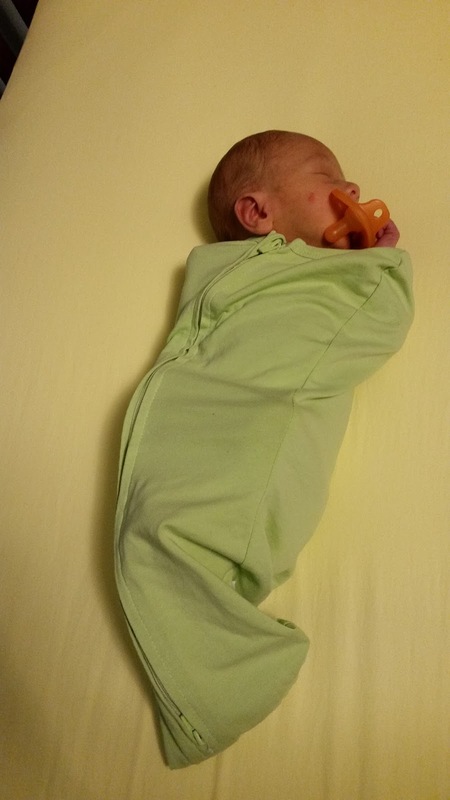 He seems to go back and forth on whether he likes the swaddlme. Some times he enjoys sleeping that tight, sometimes he gets really frustrated, so we don't use it much. I really like glowworms as a kid. Although it's unnerving how many 80s toys are making a comeback in time for kids growing up now. I may have liked glowworms and other 80s properties, but that doesn't mean I need to recreate my childhood. Don't little kids get their own weird toys? Maybe they have that stuff but I just haven't noticed it yet. All I can think of is Ben 10, and that's a decade old at this point.